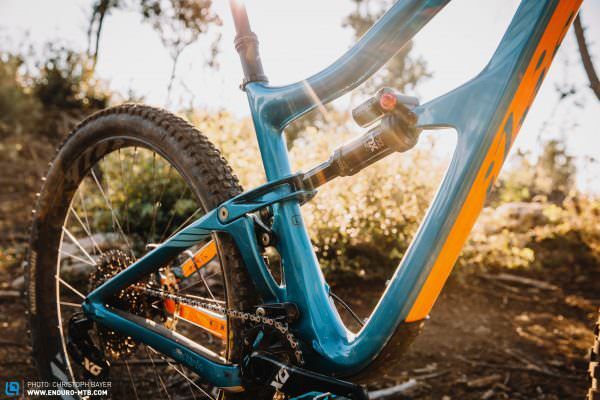 The Ibis Ripmo is the new star in the American brand’s portfolio: a combination of their popular trail bike, the Ripley, and their enduro bike, the Mojo HD4. This group test proves how well it’s succeeded in uniting the best of both worlds. One look and you’ll know: this is an Ibis. 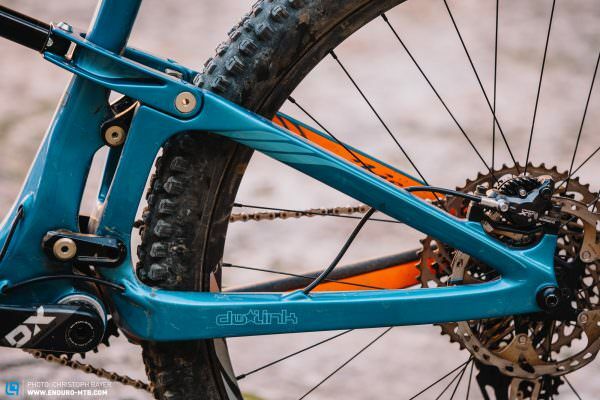 The Ripmo features Ibis’ typical flowing lines and the DW-Link rear triangle. 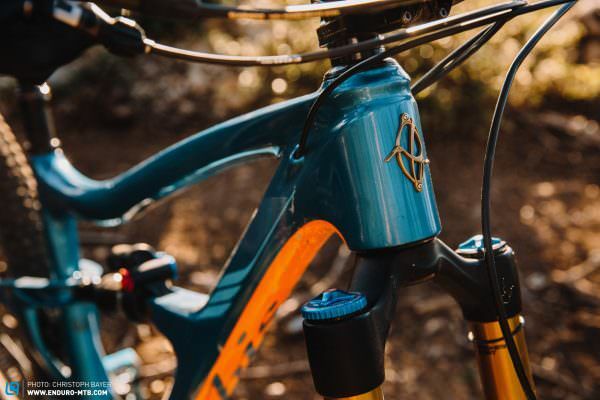 The suspension offers 145 mm of travel, controlled by a FOX DPX2 Performance shock. If you prefer, you can upgrade the shock for a FLOAT X2. 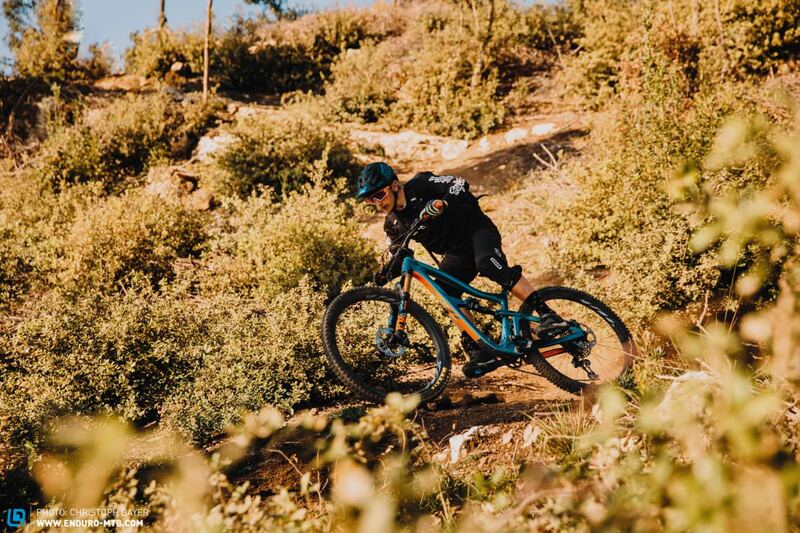 Ibis gives its customers a lot of freedom in the choice of components on the bike, offering various combinations of builds. Admittedly, at a price of € 8,498 the bike we reviewed is very expensive, but regarding the componentry, you’ll get your money’s worth. 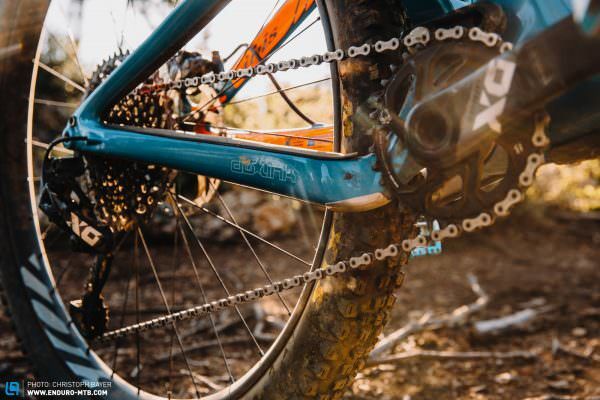 It features a SRAM X01 drivetrain and a 160 mm FOX 36 Factory fork (currently without GRIP2). 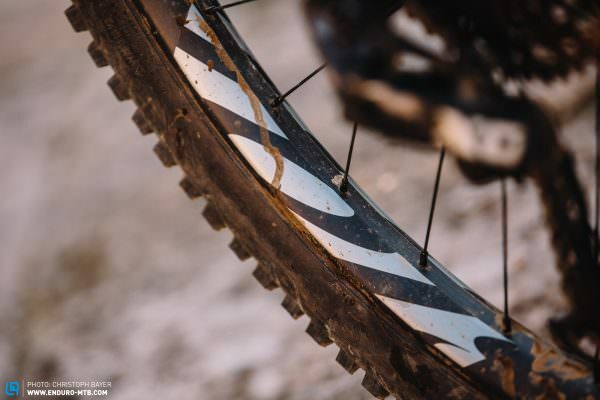 The Ibis 942 carbon rims with a 35 mm inner width are an absolute highlight. They come fitted with a set of MAXXIS WT tyres consisting of a Minion DHF 2.5″ and an Aggressor 2.5″. Again, a point of criticism is the small 180 mm rotors for the Shimano XT two-piston brake. They work much better with the XT than the SRAM Guide on long descents, but we would still have preferred bigger rotors for more power. 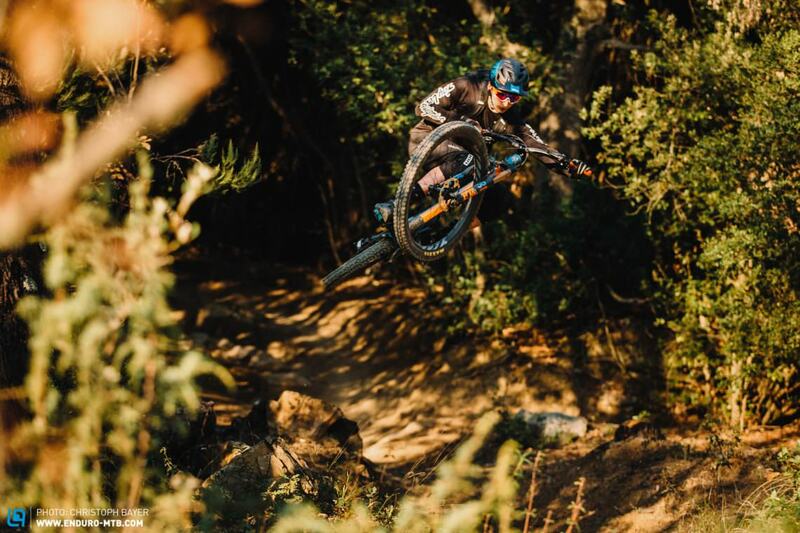 Playful trail bike or potent enduro rig? The Ripmo is both! 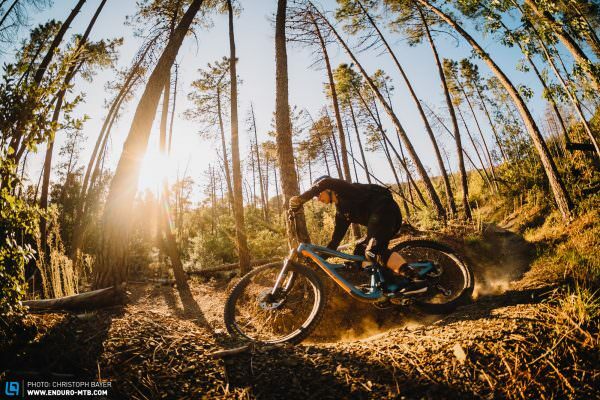 MAXXIS WT tyres on wide Ibis 942 carbon rims provide maximum grip and comfort with acceptable rolling resistance. The Aggressor on the rear, however, reaches its limit in soft, damp ground. The workmanship of the carbon frame is beautifully finished. It’s like a work of art that you’d like to hang on the wall. But that’d be a shame because this bike belongs on the trail! The straight seat tube makes it possible to insert the 175 mm KS LEV INTEGRA dropper seatpost all the way into the frame – very nice! The rear end of the Ibis is as potent as a man after two Viagra pills. The 145 mm of travel feels like a whole lot more in rough terrain. Once you’ve swung your leg over the Ibis Ripmo, you’ll never want to let it go. The bike features by far the most comfortable and central sitting position in the test field. One of the reasons for this is the steep 76° effective seat tube angle, which slackens only slightly when the seatpost is extended. Your position on the bike is very relaxed and the front wheel sticks to the ground, particularly on steep climbs. 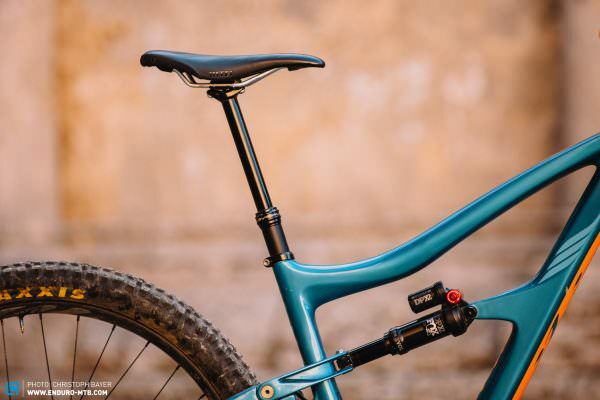 Although the rear linkage isn’t 100% neutral while pedalling, it doesn’t bob excessively and it manages to generate a lot of traction on technical climbs – we never felt the need to reach for the climb switch on the shock. 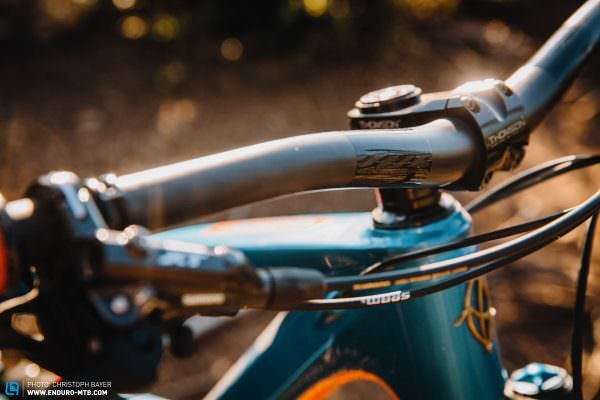 Before going downhill, simply drop the 175 mm KS LEV INTEGRA dropper seatpost for maximum freedom of movement. Descending, the Ripmo shines with an outstanding mix of quick acceleration, agility and composure. 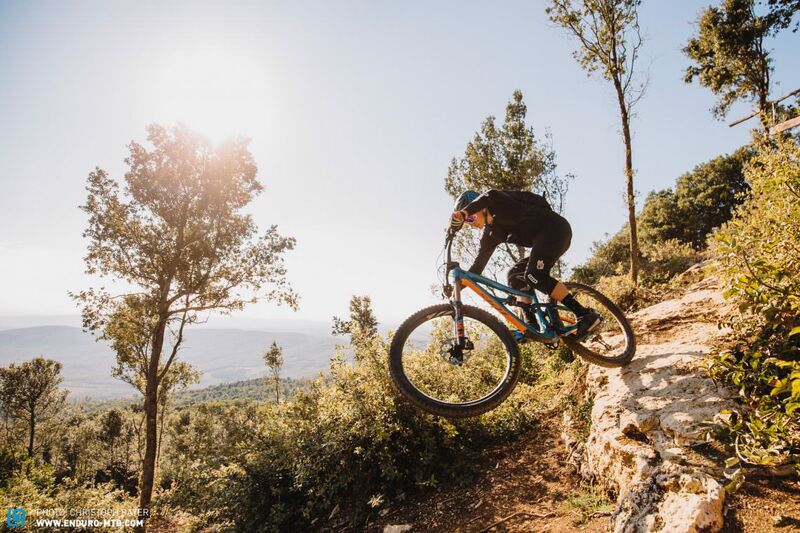 Whether on fast jump or flow trails, downhill tracks or rough alpine trails, the Ibis excels in every kind of terrain and you’ll have a lot of fun doing so! Oh, and it’s fast. 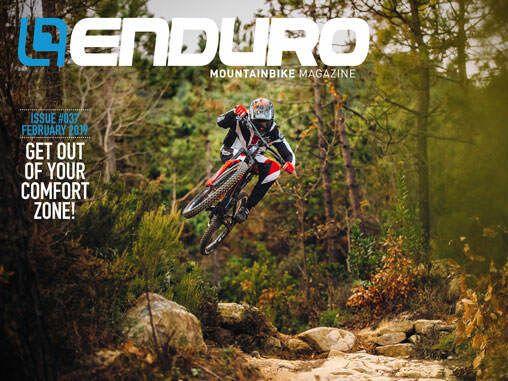 So fast, in fact, that we can’t find any reason to argue with the Ibis team’s choice to race the bike in the EWS. However, anyone who believes that this must make the bike feel lethargic on anything less demanding is mistaken. The Ripmo leaps forward when you get on the pedals. The rear linkage performs excellently on the descents too, combining a sensitive response with good mid-stroke support. However, very active riders will want to increase the progression with volume spacers. The MAXXIS WT tyres on the wide carbon rims provide tons of grip and offer a defined ride feel despite their width. 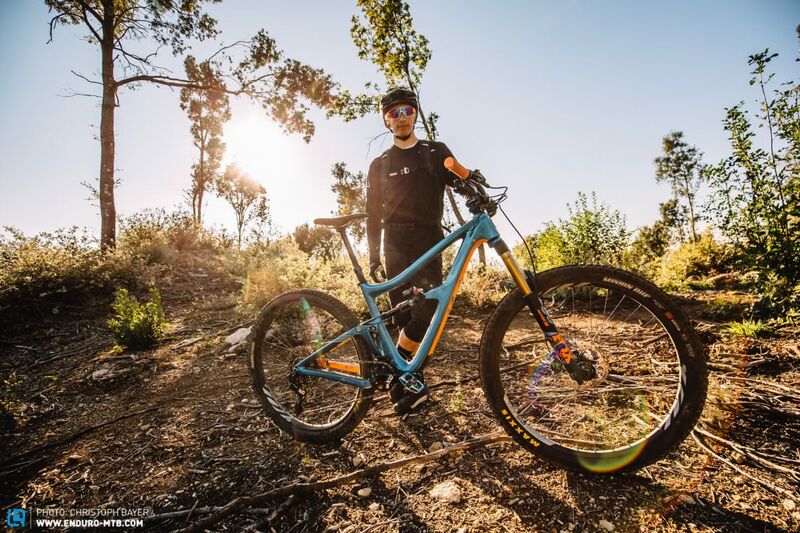 If only the very best will do, the Ibis Ripmo is the perfect trail bike for you. 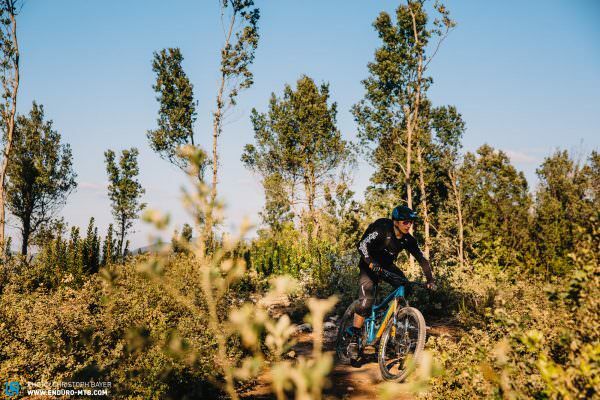 No other bike in the test field proved to be as versatile and as convincing on the climbs as well as descents as the Ripmo. 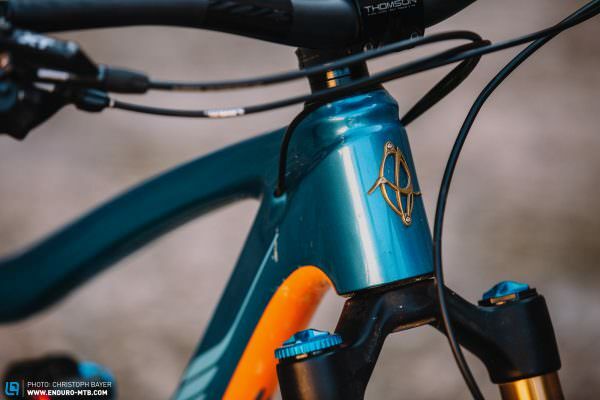 The clever details on the frame combined with high-quality workmanship and carefully chosen componentry results in a trail bike by which all others have to measure themselves. 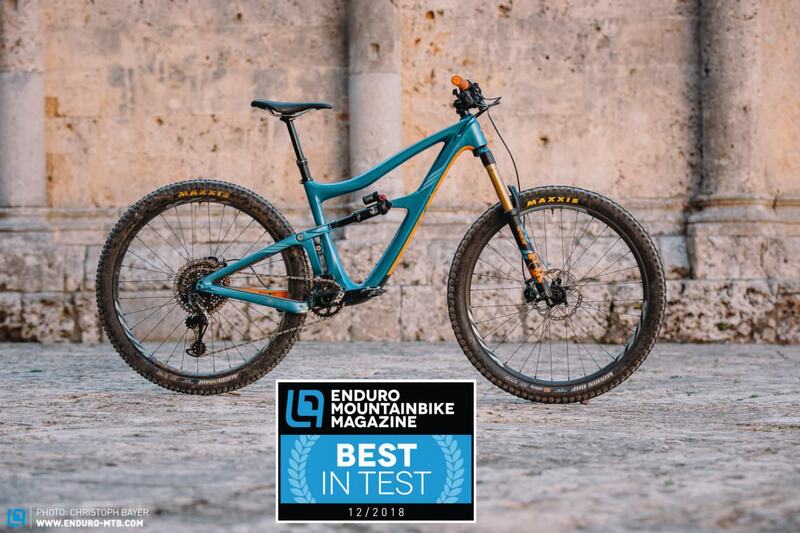 The Ibis Ripmo is our “best in test” winner and therefore the best trail bike of 2019!